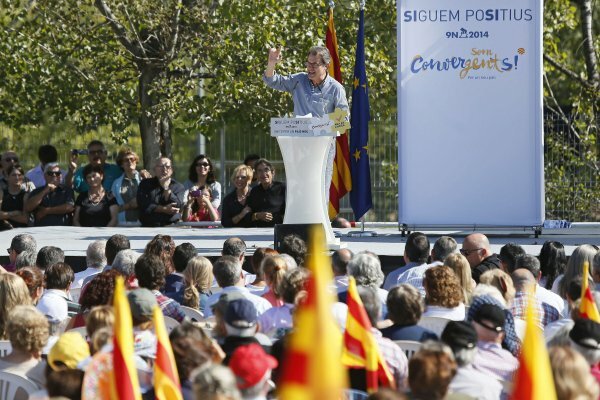 Artur Mas Prime Minister of Catalonia, cancelled the planned independence referendum in the northeastern Spain region. At a meeting with the Catalan party leaders, the Prime Minister announced on Monday in Barcelona officially, that the legal basis for such a vote on November 9th does not exist bowing to pressure from Brussels. The Spanish Constitutional Court had the referendum prohibited by an action of the Madrid central government for the time being. The real pressure comes from Brussels fearing, as they did with Scotland, that the people should not be allowed to leave Euroland.